In-Home Care & Assisted Living in Arizona: What Areas Do We Serve? 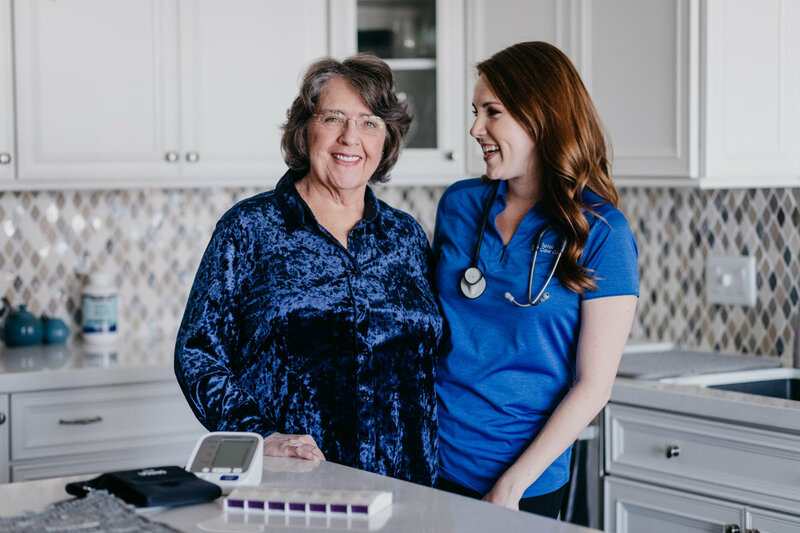 Our agency has been providing the best at home health care to residents in and around Phoenix & Tucson, AZ for over 9 years. Since then, we have served many more residents, created numerous jobs, and set the home care standard in the area. We do this by providing proper care to our clients and also by creating innovative approaches within our at home health care options. Our services are always provided with compassion, professionalism, and many of our other core values that define us as a company. We provide two different types of care: home care and assisted living placement services. Home care involves sending a caregiver to your home. Here they will fulfill any needs your loved one may have. We have over 200 certified caregivers and nursing assistants ready to provide this care. We also assist residents in finding assisted living facilities that fit their needs based on their financial limitations, and geographic preferences, and type of services they need. This is a free service offered to ensure that your loved one receives the care they need when care at home does not fit their current situation. Maricopa County: Home Care in Scottsdale, Phoenix, Home Care in Mesa, Home Care in Gilbert, Chandler, Tempe, Home Care in Queen Creek, Paradise Valley, Fountain Hills, Anthem & surrounding areas. Pima County: Home Care in Tucson, Home Care in Oro Valley, Green Valley, Sierra Vista, Home Care in Catalina, Catalina Foothills, Flowing Wells, Marana, Casas Adobes, Drexel Heights, Sahuarita, Vail, Tanque Verde, and surrounding areas. Pinal county: Casa Grande, Florence, Apache Junction, Coolidge Eloy, Mammoth, San Manuel, Red Rock, and surrounding areas.